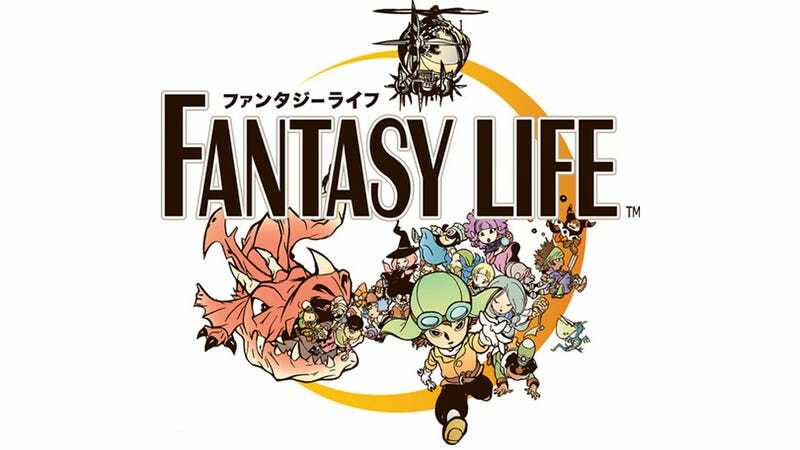 After being unveiled at the Level-5 World 2011 last year, news about Level-5's new open world RPG, Fantasy Life, remained mostly silent. Now, with a release of "2012" and only about 5 months of the year left, new information is slowly trickling out. Set in the world of "Fantazeel," Fantasy Life is an open world RPG where players create their own avatars, select one of twenty jobs and, from the looks of it, do whatever you want. Sort of like a cute simplified version of Skyrim, but with less dirt and arrows to the knee. Information released from Level-5 show the main city of "Kulburk" which will serve as players' base of operations. The city is divided into three sections: The main street, the craftsman's ward, and the downtown area. The main street houses Kulburk Castle, the library, barracks and various shops. The craftsman's ward, as the name implies, contains the workshops for the different crafters in the city and will likely be a regular location for players with crafting jobs. The downtown area serves as an entertainment district, marketplace and a social gathering location. The exact release date for Fantasy Life will be announced next week.